Having blogged for the best part of three years now, I've come across so many different digital influencers – from the super friendly to the super phoney blogger. And that's what this mini rant is all about: fake bloggers or “phoney” bloggers as Dawn Ward from The Real Housewives of Cheshire might call them. So who are these phoney bloggers? And more to the point, what do they do? Well, there's nothing like personal stories to back up the mini rants, so let me give you two examples of my experience. And yes, I've changed their names to protect the innocent guilty. I'm friends with a blogger (let's call her Amelie) who was once friends with another blogger who became a huge influencer and really well known. This “famous” blogger then decided that Amelie wasn't big enough in the blogging world and decided to ditch her as a friend. Literally, she just stopped returning her calls. First of all, what kind of person does that? They were friends before even blogging became a ‘thing', so for someone to do that to someone is quite frankly, in my opinion, downright inexcusable. Understandably, it really upset Amelie. The last time I saw her a few months ago, she was telling me about the whole ordeal like it recently happened. It actually happened four years ago – and she was still carrying the pain. And as much as I felt sad for my lovely friend and sympathised with her, I began to realise that this wasn't uncommon. There are too many star-struck influencers rearing their phoney blogger heads – and they need to get real. What actually needs to happen is that they get their faces out of the backside of those they want to impress (who they are convinced will catapult them to influencer stardom) and start being genuine. I mean, what the hell happened to just being yourself? Isn't that what us bloggers are supposedly known for? Being honest, being individuals and being dependable? Phoney blogger people: you are letting the team down on all fronts. And I really think that you are jeopardising the future of bloggers. We should be sticking together, supporting one another – and not just those we aspire to be like. Why try to force a phoney blogger relationship to win popularity votes? Isn't this the sort of playground tactics you'd expect seven-year-olds to get away with? Not grown up people – some even that have children of their own?! So here's my second example – and this time it's personal. 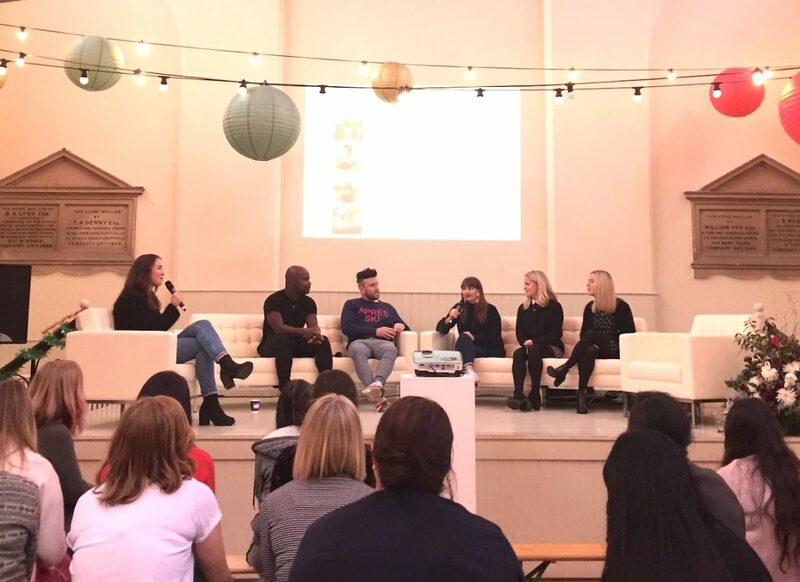 A couple of years ago I was walking into a blog event with a fairly well known blogger (who I won't care to name as she didn't strike me as particularly friendly when we met – I was ‘small fry' to her). As we walked in, she saw another blogger (funnily enough this one was male) and they started chatting to one another, leaving me standing there like a lemon. There were no introductions made or any attempt to welcome me into their conversation. And as they walked and talked, male blogger man (who has children of his own) turned and noticed me enough to acknowledge me. I already knew who he was as I had been following him for a while, but we made small talk until he decided to make up an excuse to ditch me fast. However, he must have checked out the business card I gave him as he later started following me back on Twitter and Instagram. Bear in mind this was two years ago. I have made numerous attempts to “make friends” and get to know him better through social media. I've liked his posts, commented on them and even asked him questions. And I kept up the liking, commenting and sharing for 6 months. I thought (perhaps naively) that we could be friends. And what happened? Absolutely nothing. He didn't respond to any of my questions, let alone acknowledge that I even existed. There were no likes on any of my social media posts or my comments to him…sweet FA. Now that's fine of course – we can't all be everybody's cup of tea, I realise that. But when I ask someone a question or a comment that might warrant a response, I expect one. We teach our kids that it's rude to ignore people when being asked a question; so why be a hypocrite? But because curiosity got the better of me, I decided to do a bit of research (okay, it was more like mini stalking), but I watched (and learned) what posts he liked, which ones he commented on and who he decided to reply to. And would you Adam and Eve it? Every. single. one had a VERY significant influence in the blogging (or digital influencer) community. There was not one person he had interacted with if they had fewer followers than he had. I suspected that he was a phoney blogger and I was right. Always trust your instincts eh?! This guy is hardly a massive influencer himself; he has around double the followers that I have on one of his social media platforms, yet it appears that he chooses to distance himself from those with fewer followers than him. He's a ‘star-struck blogger' and a phoney. And on an ongoing basis I come across those who are all out for themselves and just don't share the love. Whatever happened to being supportive? 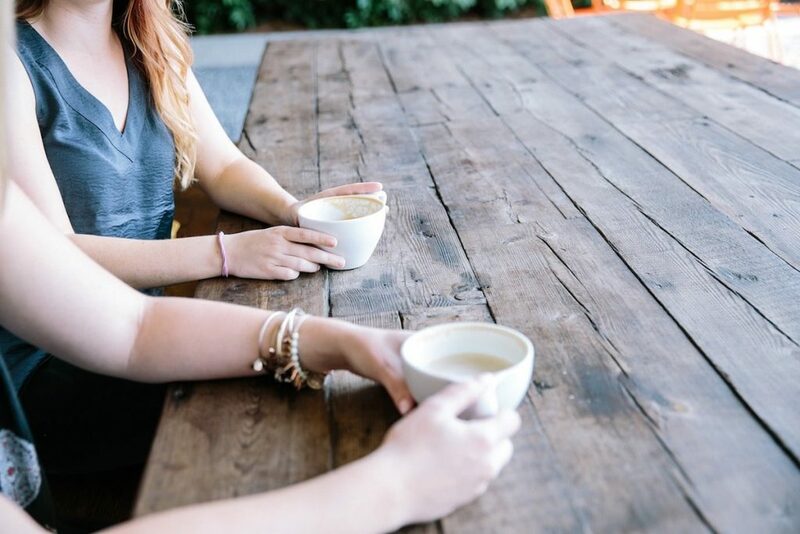 Half the reason I love blogging so much is that it gives me the opportunity to meet like-minded people, to have a laugh, to talk about our hopes and aspirations and to share information as best we can. I'll give you another example of something that happened just recently at World Travel Market in London. I was one of the digital influencers who managed to get a spot at the speed networking session. Bloggers are sectioned off into separate zones at the event such as ‘cultural travel', ‘family travel' ‘gap year travel' etc. There were only a handful of us in the family section, but I got talking to a few people I met that day. Most of them were friendly, approachable and down to earth. We all exchanged business cards to keep in touch and being the kind person that I am (and with absolutely no expectations), I decided to share the business cards I'd collected that day with the people that I met. And, sadly….there's always one isn't there? I met her and she came across as friendly, but when she was still moaning about how dire the event was after an hour, I knew then that she just wasn't my sort. Nevertheless, I still decided to do the kind thing and share my business cards with her. That was two weeks ago. Did I so much as get an acknowledgement from her for doing this? Even when I followed and promoted her on social and left her a lovely ‘nice to meet you' message. Er…nope. Again – absolutely nothing. And yet two weeks earlier we'd been swapping stories, talking about our experiences and promising to keep in touch. I kept up my end of the bargain, but she had clearly decided that I wasn't ‘big enough' to be in her clique. I moaned to my friend Kerry about the phoney blogger and she put things into perspective for me. She told me that, like me, she is very trusting of people and that she's had the same conversations with other bloggers. I so badly wanted to believe that all bloggers are kind, genuine and sincere. These are my people; I relate to them, I sympathise with them, I celebrate with them and above all, I support them. But when it's clear that I'm just not ‘successful enough' for some to warrant being my friend, I find it sad. I've met and made friends with bloggers from all backgrounds and at all stages of their blogging journey. They range from those with 268,000 followers (yes, really) to those with less than 100. I don't look at the numbers of followers they have and rub my hands with glee when I see they have a much larger following than me. I look at the real person behind the name. I'll ask myself if I enjoy their style of writing and if relate to them. And if the answer is “yes”, then I couldn't give two hoots if they've got 2 followers or 200,000 – I'll follow them and I'll support them. I'd like to think most bloggers would agree, but that wouldn't be realistic now would it? It has been good to get this off my chest, almost cathartic, so I make no apologies for going off on a rant about star-struck influencers and their phoney blogger ways. Perhaps once in a while, I should try being a bit more ruthless to climb the influencer ladder myself. But deep down I know that this isn't me. So I've resigned myself to taking the longer, more scenic route, to grow in the blogosphere. But at least I know the people I choose to follow I do so because I genuinely like them; and in this case, being ‘bigger' isn't necessarily better. How do you feel about phoney bloggers? Do you have any past experiences to share? Feel free to have your own mini rant in the comments below! I’d love to start blogging myself, mainly as i feel it would be a great way to start articulating my thoughts and feelings. To process some of the crap I’ve endured and get feedback, help me reflect and ultimately move on. I can’t stand all.the phoney people pnline though. More and more people going down this route, to become an ‘influencer’ amd ultimately a celeb in tjeor own right. Im.glad to see people like yourself still have their feet on the ground. Thanks Claire – that’s very kind of you and lovely to read – you’ve made my day! Over the years I’ve found blogging to be really therapeutic – and I can’t see myself stopping any time soon, so if you’ve got an inclination to give it a go, I’d definitely say go for it! And you sound like you’d also keep your feet firmly on the ground if you started – if you do go for it, let me know if you need any advice…I’d be happy to help! I think you’ll find this within any industry sadly. All you can do is move on. I thought you were so lovely when we met recently and super helpful so keep staying true to who you are. Hi there, I just found your blog through a comment you left on Kerry’s blog, and this post makes me sad – but I’m not surprised. I’ve read some about this previously. I’m a total bottom level blogger since I haven’t really kept at blogging at all recently. Now I’m about to start blogging again, and to revive my niche blog. To me blogging is about sharing your passions or interests, and about connecting with people. I have a problem with the concept of starting a blog with the only purpose to earn money because shouldn’t blogging be about writing and being genuinely interested in something, much enough to want to share it with the world? It’s generally a crappy behaviour, like you say like little kids do. They should be ashamed of themselves. Thanks so much for this Susanne – great news you’ve started to blog again and you are absolutely right…why would anyone want to blog if they were not passionate about the subject matter? I can’t conceive of the idea of starting a blog just to make a quick buck – it doesn’t work like that anyway! Three years down the line and I’m hardly ‘bringing home the bacon!’. 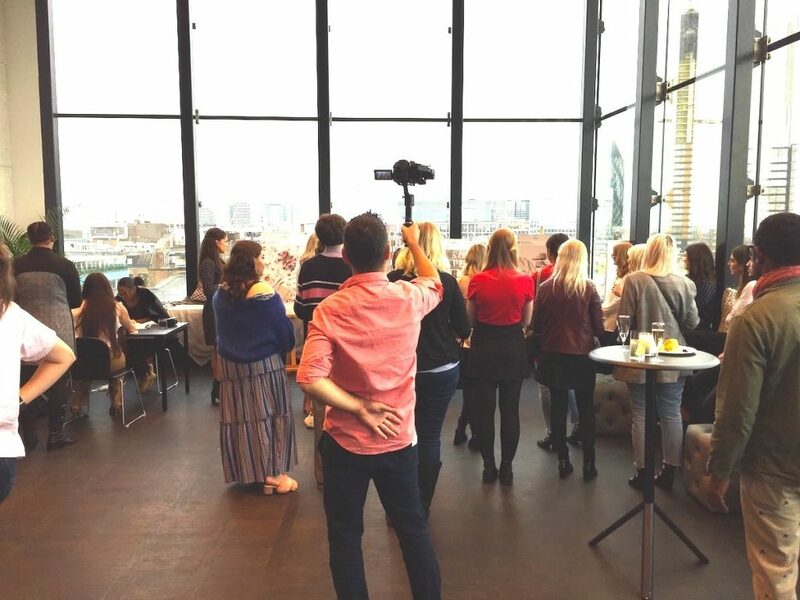 The reason I attend events is that I genuinely love meeting other bloggers – big or small – who I can connect with and discuss blogging with (and all the topics associated with it of course!). I’m sure it’s true when I say most bloggers are really nice and genuine – it’s just a very small minority that let the side down – and sadly I’ve met a few lately! Thanks so much for popping over and for your thoughts on this. I sadly came across phony bloggers in the past. The kind where they can seem really nice and then the next – they start attacking you and getting their followers attacking you. I think if you form a genuine bond online, then it obvious it isn’t phony (like us for example) and you are who you are both online and offline. Does that make sense? PS: I was looking for you everywhere at WTM. Thanks for popping by Anna – and yes, I know exactly what you mean. You should have called me at WTM….mind you, I spent the whole 3 days running round like a headless chicken! That is why I don’t bother with events (except when I am getting paid). I can’t deal with all the nonsense. It feels like we are back in the playground sometimes and I refuse to deal with all that. Zero tolerance for fakery here. Great post Lauretta. I like people that say it as it is. Thanks Stella – sometimes it’s easier to do away with that nonsense by not putting yourself in those situations, but I have to stress that it’s only a small percentage of people I’ve come across who are like this – the majority are decent and supportive of others. But it felt good to get it off mu chest! That’s a great attitude Melanie – and thanks for taking the time to comment. I guess that’s a very good piece of advice to us all (including me) on taking people with a pinch of salt. I think I get wrapped up in the old “I wouldn’t behave that way, so why do they..?” question, but everyone is different and the world would be a boring place if everyone behaved the same way. Yes – this is a great example of the phoney blogger….they are just “going through the motions” without any sincerity. Or when you’re talking to someone, and their eyes are constantly looking over your shoulder about who they can gravitate towards next…not cool. I know exactly what you mean, but I suppose it’s like any other profession, there will always be people who are more interested in climbing the ladder than who they trod on to get further up! Ha ha! I like this Lucy – and of course you’re 100% right. I just don’t get that when we’re a people industry (and rely on others to support us), why wouldn’t we repay people as we get bigger and bigger? We all had 0 followers at one point – it doesn’t make you less of a person just because you have fewer followers than someone else. That’s very true Kara and it’s something I didn’t touch on in the post. I didn’t even know you could buy followers – isn’t there a way of telling if they are bought or not though? There must be some system that can oust those who have bought fake followers?! This is a topic for another rant I think. Actually, now you mention the young fashion bloggers – one of my pet peeves are blog events that don’t represent older bloggers and this is definitely something I’ll be writing about. I’m sorry you’ve had these experiences. Sadly there is a lot of it in the blogging world and I’ve experienced it myself where people have been my friend, or so I thought and then one day decided they no longer wanted to know me! I never found out why and it still plays on my mind. This is such an interesting read, especially being a part-time blogger! I’m not into phoney bloggers or ones out to make money quick – it’s meant to be fun, supportive and a creative! Thanks for commenting Jess – to be honest, most bloggers are genuine and honest – that’s how I’ve found the majority to be. But I guess, like in any industry, you’re always going to get those that let the side down. I think that as long as you’re yourself and bear in mind that some bloggers should be taken with a pinch of salt, you’ll be absolutely fine. This really is an eye-opener, Lauretta! It’s hard to separate the phony from the genuine tbh. 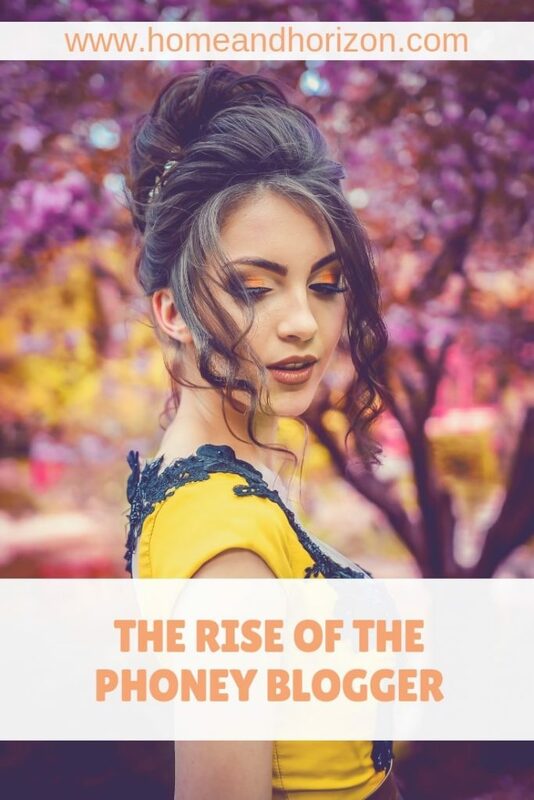 I’m a fairly new blogger and I must admit that I am feeling pressured to “make it big someday” when I see all these successful bloggers in their field. However, if I have that attitude, it defeats the whole purpose of my blogging journey. I need to connect with real, genuine people (like you) who will remind me why I started a blog in the first place. 🙂 Sharing this!